As one of the company's stakeholders, PGN’s employees play an important role in every achievement for the sake of corporate sustainability. The role is run comprehensively, covering the achievement of economic, environmental, and social values that provide health, safety and welfare for PGN employees in all the company’s business lines. Therefore, PGN is committed to continue providing comfort and safety in the work environment in order to achieve the vision of PGN as a world-class energy company in the gas segment by 2020. PGN views human capitals as one of the most valuable stakeholders for corporate growth. For that, intensive communication becomes the connecting bridge between employees and the company. Any complaints and needs of employees must be heard and responded to clearly. 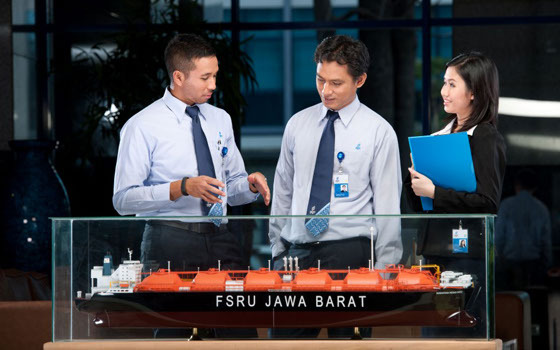 The main expectations of PGN employees are career development, performance-based remuneration, and welfare assurance. In the management of human capitals, we continuously strive to improve the professionalism and competence of employees according to PGN’s human capitals development roadmap. The indications of the comfort and safety of working as employees of PGN can be seen, among others, from the low number of employee turnover, no employees being laid off, high rate of safe working hours, and improved quality of workers according to the results of competence assessment. 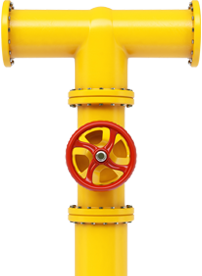 PGN has a well-planned, systematic and focused competency development program in line with the company's business development. One of the major competency development programs that has been consistently implemented is education and training programs that support the process of maintaining and improving the quality of human capitals. PGN allocates an average of 6 training days for each employee to support the development and fulfilment of the employee’s competency gap. PGN has set Corporate Governance and the principles of Transparency, Accountability, Responsibility, Independence and Fairness as the basis for performance improvement. The company also continues to update various Guidelines, Operations Procedures, and Manuals with the changes to prevailing laws and regulations, as well as corporate transformation and development programs reinforced by dissemination and implementation. According to Law Number 40 Year 2007 on Limited Liability Companies, the Company's structure consists of General Meeting of Shareholders, Board of Commissioners, and Board of Directors. The Company's organs play a key role in the successful implementation of Good Corporate Governance. The organs perform their functions on the principle that each organ has independence in performing its duties, functions and responsibilities for the benefit of the Company. Articles of Association as part of the deed of establishment of a company is a basic document in corporate governance. In the Articles of Association contains the rights and obligations of both Shareholders (GMS), Board of Commissioners and Directors. The articles of association are internal, which bind company organs in the body of a company. The articles of association announced in the State Gazette are binding and constitute laws for each party involved. Amendments to the Articles of Association of PGN are contained in the Notary Deed No. 34 Notary Fathiah Helmi, S.H. dated September 10, 2018. Currently PGN has three committees to ensure good management of the company. The three committees are the Audit Committee; Nomination and Remuneration Committee; and the Risk Management and Business Development Supervisory Committee. The Audit Committee monitors the financial reporting, risk management, and internal control systems of the Company. The Nomination and Remuneration Committee reviews and provides recommendations on remuneration policies and system for the Board of Commissioners and Directors, and reviews the procedures and policies of succession of the Board of Commissioners and Board of Directors. The Risk Management and Business Development Supervisory Committee is intended to assist the Board of Commissioners in conducting periodic monitoring, provide recommendations on Risk Management policy and implementation, as well as business plans and developments. The purpose of this policy is to provide direction and reference for all PGN Employees with respect to the conflict of interest, acceptance, rejection, provision, and requesting of gratification within the Company to comply with Good Corporate Governance principles, so as to encourage the implementation of business and work ethics, prevention of conflict of interests, fraud prevention, and other behavioral aberrations. This policy sets out the precautionary principle related to the conflict of interest, the ethics of acceptance, rejection, granting, and request for gratification, and its reporting mechanisms within the Company. Risk Management is one of the pillars of Corporate Governance that must be implemented thoroughly in the Company. In realizing the goals and targets, as well as implementing one of the pillars of Corporate Governance, the Company realizes the importance of managing risks from strategic to operational aspects. To manage risk appropriately, PGN has since 2008 implemented a structured Risk Management Framework for the purpose of improving risk management and improving the Company's performance. This framework incorporates principles of transparency, accountability, responsibility, independence, fairness, and equality. The company already has a Code of Business Ethics and Working Ethics. In the development of good corporate governance, PGN has formulated various policies concerning corporate ethics. The Company strives to apply the best ethical standards in carrying out its business activities in accordance with its vision, mission and culture through the implementation of Business Ethics and Work Ethics. Business Ethics and Work Ethics are guidelines of attitudes and behaviors that are required and applicable to all levels of the Company. 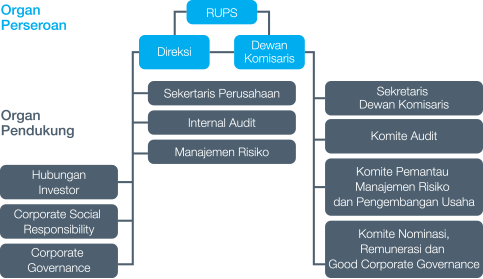 The Corporate Governance Guideline is a basic guideline for PGN in running its businesses. The guidelines also provide guidance for PGN employees to apply the principles of good corporate governance on work activities.